In what has become the annual tradition of a thrilling Super Bowl, the Giants defeated the Patriots, 21-17, thanks to a last-minute touchdown. 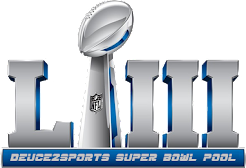 However, while many outlets would word the game's result as I did above, it is more appropriate to say the following: The Patriots lost Super Bowl XLVI, 21-17. This isn't to take anything away from the Giants, who played well enough to win the game. Nevertheless, the majority of the nation outside of New York can't possibly believe the Patriots didn't give the game away. I thought 4 specific plays (well, three specific plays and another "play" combining three mistakes) cost the Patriots what should have been the franchise's fourth Super Bowl title in the Tom Brady-Bill Belichick era. Tom Brady's ridiculous safety on New England's first offensive play. During the entire game, other plays were mentioned as being the "key play" in the game. It wasn't until Wes Welker's drop (see below) and Mario Manningham's spectacular 38-yard catch on the Giants' final drive that I felt this play was off the hook as the game's key play. Think about how the game might have been different had the Patriots at least been able to run a few plays, even if it resulted in a punt. What transpired was the following: The Giants drove down the field, eating up nearly five minutes of the clock before punting and pinning New England at its own 6-yard line. On their first play, the Patriots call a play-action pass in which Brady slings the ball 50 yards down the middle of the field where no New England receiver is. Because it was thrown in the end zone and Giants DE Justin Tuck had some last-second pressure, it resulted in a safety. After the free kick, the Giants would take the ball down the field for a touchdown and with 3:24 left in the 1st quarter, the Giants held a 9-0 lead while New England had run one offensive play. This isn't to say Brady & Co. would have scored on New England's first possession, but at least holding the ball a bit to give the defense a blow would have been wise. That play gave the Giants confidence from right off the bat and, instead of New England exerting its will early, the Giants had nine points before New England got in a groove. It's true Brady led his team to score the game's next 17 points, but the 17-9 lead could have been 20-7 or 24-7 had it not been for that momentum-swinging safety. Rob Ninkovich's offsides penalty on 3rd & 7 on the Giants own 11-yard line. This play might get overlooked now because of how the game played out, but it was nonetheless crucial. Eli Manning threw an incomplete pass and Ninkovich's early jump had nothing to do with the errant throw. Instead of being forced to punt deep in its own end, New York ended up converting the then-3rd & 2 and moving the ball to New England's 43-yard line before punting. That's a 46-yard difference in field position and would have been the Giants' only punt from that deep all game. New England could have started a drive at its own 40 instead of its own 8-yard line early in the fourth quarter. Wes Welker's late drop that would have almost assuredly iced the game. Even Welker puts the loss on himself. That's not an easy catch for most, but it's a catch Welker makes all the time. Could Brady have made a better throw? Sure. However, Welker found a hole between three defenders by running a great seam route. Brady threw it to his back shoulder and Welker got both hands on the ball and should have made the catch. That 2nd-and-11 play would have been a first down and put New England at or inside the Giants' 20-yard line. With four minutes to play, the Patriots could have salted away the clock (New York only had one timeout left), either settling for a field goal to take a 20-15 lead and giving Eli limited time or scoring the game-winning touchdown that would have put New England up nine points. The other 3 drops. 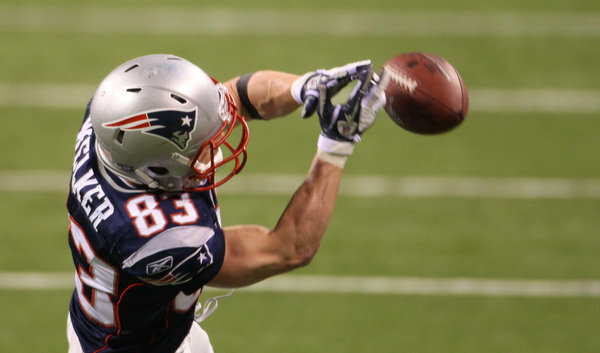 Welker's drop not only was a dagger of sorts, it proved to be the start of Dropitis for the Patriots. The next three throws by Brady, spanning two separate drives, all resulted in drops. Deion Branch dropped two balls while Aaron Hernandez dropped another. Both of Branch's balls weren't easy catches, but they weren't that difficult. If he makes the first, New England has life with a first down immediately after Welker's drop. If he makes the second, New England starts the potential game-winning drive with a 25-yard pass play rather than an incompletion. Hernandez's drop might not have been a first down, but the fact it was the fourth-straight drop showed how, in the end, the Giants' WRs made plays while New England's WRs didn't. Those are plays the Patriots made (or in the case of Brady's safety, didn't make), all season. On the game's biggest stage, New England fell flat. Defenses such as New York's can ultimately be responsible for some big plays, but the ones listed above were almost 100 percent on New England. It was that handful of missed opportunities (not even looking at the two forced fumbles that the Giants were able to recover) that proved fatal in New England's quest for Lombardi Trophy No. 4. The truth is simple: The Patriots lost Super Bowl 46; the Giants didn't win it.